As a local garage door repair specialist, our technicians have seen every possible problem an overhead door can develop. While some problems are rarer than others, we definitely also see many of the same issues crop up time and time again. Read on for 5 of the most common garage door issues we think homeowners will experience with their systems, and our advice for dealing with them. Whether your door has torsion or extension springs, they will eventually reach the end of their lifespan. Usually one extension spring will break before the other. However, in order to ensure the door is evenly balanced, our technicians usually advise replacing both springs at once. A worn spring can be very dangerous as if it suddenly snaps; it can drop the door on whatever’s beneath it at the time. Watch out for warning signs like wobbling and squealing, or a door that can’t support its own weight. If you see these signs, contact us immediately, it's likely either the tension will need to be adjusted or that your spring will need to be replaced before the spring breaks completely. Do not try to fix it yourself. The most complicated part of your overhead door system is the opener, so it’s no surprise that they often develop faults. We’ve seen everything from frayed wiring to faulty circuit boards. Many modern openers come with self-diagnosing circuitry to help you identify issues with the system. Check your unit’s manual to see it helps you spot what’s gone wrong, or contact our team for assistance. Every modern garage door is fitted with photoelectric safety sensors designed to detect when something’s in the door’s path. These sensors can be knocked out of alignment or become covered with dirt and dust. When this happens, the sensors can incorrectly think that something’s in the way when there's nothing, preventing the door from closing. If your door won’t descend fully, try cleaning the sensor lenses or contact our technicians to perform safety sensor realignment. 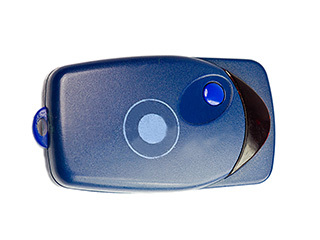 Without a working remote control, opening and closing your door can become really inconvenient. There are plenty of reasons why a remote might fail. Door codes can be accidentally reset, receivers can fail, and batteries can run out. The first step is to try replacing the batteries, if this doesn't work, we're here to help. A metal garage door picks up dents way more easily than you might think – when this happens, many of the door’s internal structures can be damaged too. Dented tracks, rollers and trolleys are more common than you’d imagine. Luckily, our team can quickly remove damage from metal parts, and provide on-the-spot replacement for many damaged components.